A handful of ISE-researchers have contributed to a new Handbook On The Experience Economy, published by Edward Elgar Publishing. The book is in print and should be ready to buy in stores about now. 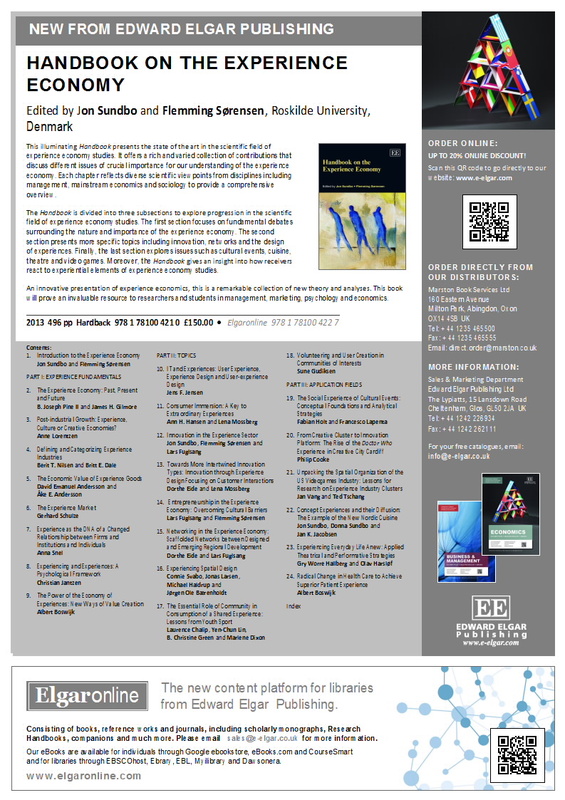 The new 520 pages handbook is edited by the strategic research priority Innovation in Service and Experience group’s leader, Jon Sundbo and associate professor Flemming Sørensen. 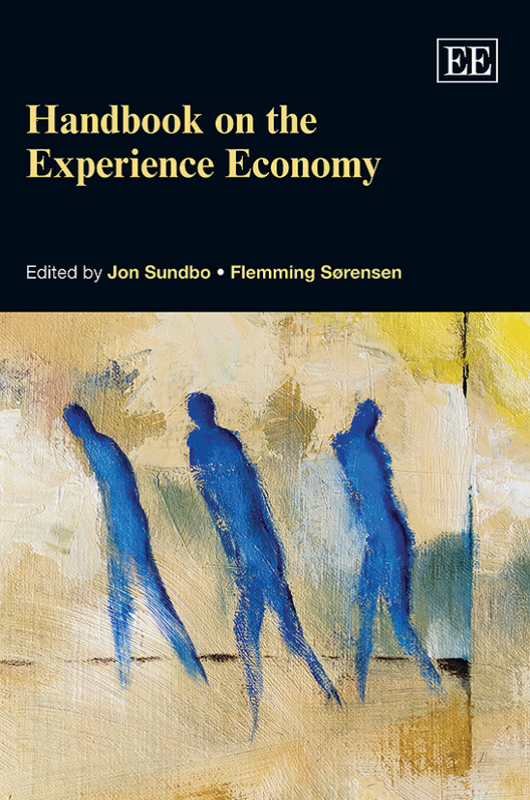 It is in English, and the publisher describes it as an “illuminating handbook [that] presents the state-of-the-art in the scientific field of experience economy studies”. 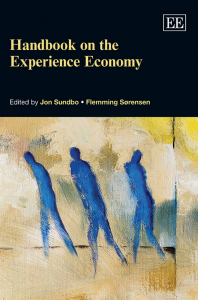 Handbook On The Experience Economy reflects on theory and viewpoints from a range of scientific fields including management, mainstream economics and sociology to provide a comprehensive overview of the state-of-the-art in the scientific field of experience economy studies. The last section of the new Handbook On The Experience Economy explores video games, culture, cuisine, tourism, healthcare, events and more as phenomena in this scientific field. 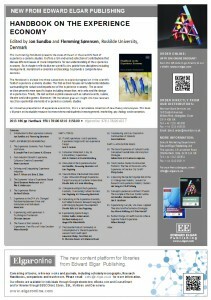 Moreover, the handbook looks into how receivers react to experiential elements of experience economy studies. From these very specifics to the more abstract, the handbook also entails a thorough collection of new theory and analysis in the field. The first section of the handbook focuses on basic debates surrounding the nature and importance of the experience economy, while the second section presents more specific topics including innovation, networks and the design of experiences. From general to specific and freom theory to reality in the field of experience economy, it is the hope that this new handbook as the publisher notes “will prove an invaluable resource to researchers and students in management, marketing, psychology and economics”.